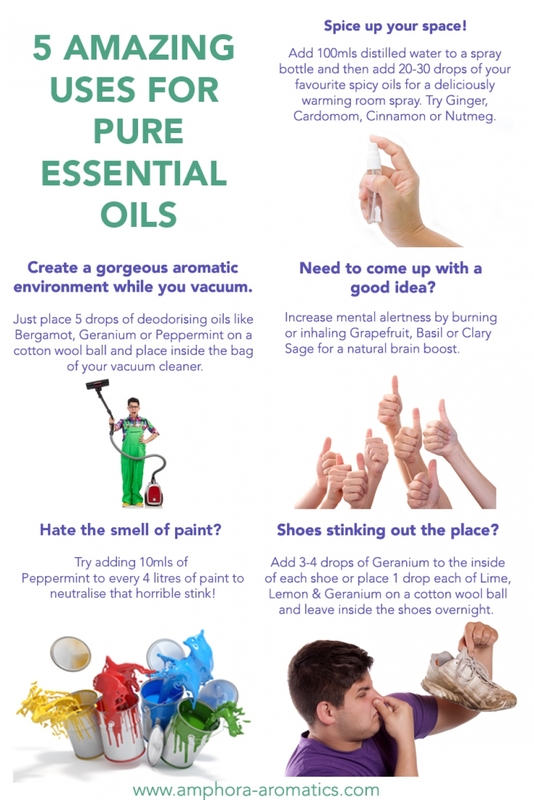 5 Amazing Uses for Essential Oils - Amphora Aromatics Ltd – Supplier of pure essential oils and aromatherapy Products. Always thought essential oils smelt nice and that's about it? Well, here's 5 amazing uses that you may not have come across before!